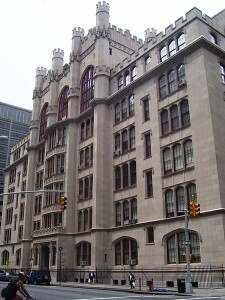 Transfer students to Ivy League colleges often hail from less well known universities like Hunter College (photo credit: Beyond My Ken). Around this time every year, a number of students (or their parents) interested in transferring colleges approach us. We take on many transfer cases every year so we figured we’d give our readers some information on the transfer admissions process. At highly selective colleges — like the Ivy League colleges — transfer admissions is very similar to the college admissions process for high school students. What are some key differences, you ask? Well, the pool is definitely much smaller. During the regular college admissions process, thousands and thousands of students often apply to a highly selective university, of which they only admit a small percentage. In transfer admissions, thousands and thousands of students just don’t apply. Another difference is that transfer students often apply to highly selective colleges from colleges you wouldn’t expect. Do you think that the vast majority of transfer admits switch from one Ivy League school to another? If so, know that this isn’t at all the case. Many transfer students hail from less well-known schools. Maybe they are transferring from Hunter College or Santa Monica College. Yes, you can get into a prestigious university — like an Ivy League university — coming from a school that isn’t prestigious like Santa Monica College. It’s the exception to the rule, but it can happen in transfer admissions. It’s one of the ways that college admissions counselors at highly selective schools add to the diversity of the student body — through the transfer admissions process. And what about high school grades? Do they matter for transfers? You bet they do. Your high school grades and SAT scores do indeed matter in transfer admissions, but your college grades will matter more. Your letters of recommendation from professors will matter more. So don’t slack off in college if you wish to transfer. Excel. Impress your professors. Get great grades and do terrific research. It’ll help your transfer case for sure. More of a comment, this is a question: As an international transfer student, what are my chances of getting in? I am also an international transfer student and I’m glad to see someone else in the same position looking to transfer to an ivy league. Did you apply for admissions for fall 2018?